Provides hotkeys for performing common operations on the windows on your monitors. This includes operations like moving the active application window to the next monitor or to a pre-configured position, minimising all windows on a single monitor only and rotating the contents of all monitors. It also allows you to restrict mouse movement between monitors. This allows you to launch your favourite applications with a few key strokes and to position them at pre-configured positions on any of your monitors. This simplifies the process of using existing images as wallpaper on your monitors. You can either specify a different image on each monitor, or spread an image across two or more monitors or if you have enough monitors, a combination of these. This can disable all secondary monitors while another application is run, or it can disable individual monitors and/or change the primary monitor and will restore the original state of these monitors when the application has finished. This can be quite handy when running certain games which don't scroll correctly if you have more than 1 monitor enabled. 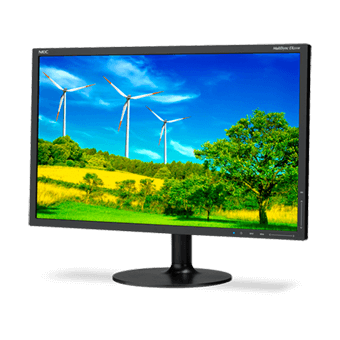 Allows you to capture the current image on the primary monitor and display it on your secondary monitor. New hotkey to swap the positions of the top two windows. New keys for snapping windows to the left/right/up/down. Improved handling of configuration saving problems. Supports DPI scaling other than 100%. Supports .jpeg (with an e) extension for input images. Support added for Windows 8 and 8.1.